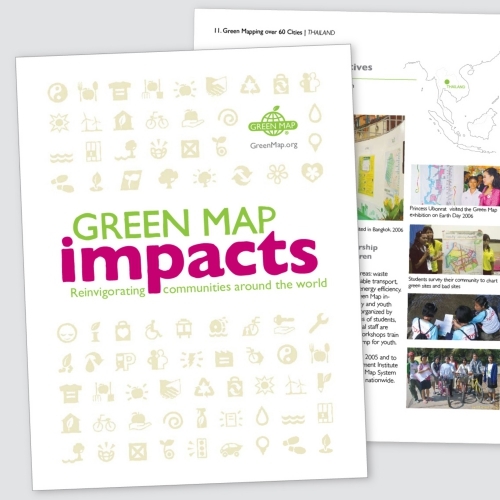 'Green Map Impacts’ is our book of locally written stories about the dynamic projects and their impacts, including why and how they matter. Seven newer stories are featured at the top of this page, followed by the original set of stories which was first published in English and Japanese in 2009 in partnership with Aichi Green Map and Green Map Japan. The new stories feature new tools and approaches – enjoy them all, story by story or download the complete book (15 MB PDF in English or in Japanese (original version)! 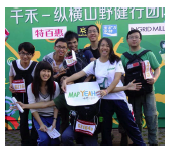 This Green Mapping project helps youth in the city of Guangzhou China to rediscover the cultural heritage of their city through mapping projects, multimedia and games that trace its historical past. Download this Guangzhou Story here. Striving to create a sustainable blueprint for the future of Curitiba, Brazil, this Green Map project involves university students in creating maps, icons and workshops, educating the next generation of sustainability professionals in this community. Download this Curitiba Story here. Discover. Enjoy. Learn. Take Action. 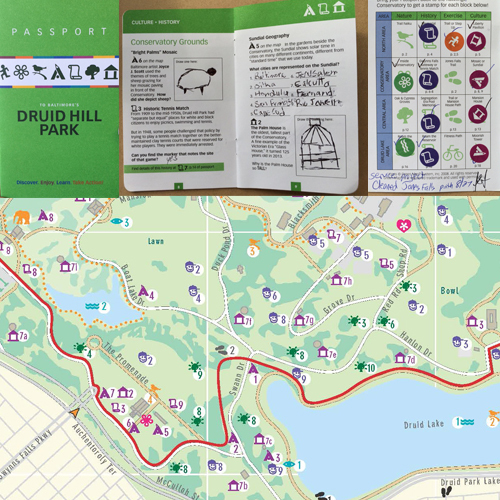 Impacting communities all over Baltimore USA, this Green Map project has produced various maps, school projects and educational tools - even a Kickstart-funded Passport to the city’s largest park, highlighting the beautiful natural environment. Download this Baltimore Story here. Cape Town has truly become a city that stands in the forefront in the field of environmental design. 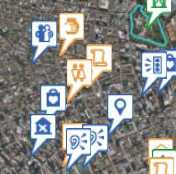 Creating the first Green Map to go live in Africa, this project mobilizes residents, local government and tourists towards a more sustainable future. Download this Cape Town Story here. Using mapmaking as a powerful educational tool, students around Geneva Switzerland are taking leadership roles in sustainable community development. 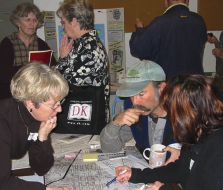 This project has inspired numerous other maps, community activities and continuous educational development. Download this Geneva Story here. 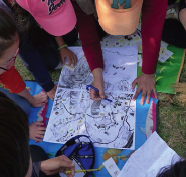 With the help of local government, students and community members, the Gyeonggi-do Green Map project has produced the first Korean Green Map, as well as a variety of educational tools and frameworks, all focused on climate change and promotion of a sustainable life style in the province of Gyeonggi-do, Korea. Download this Gyeounggi Story here. Welcome to Iceland! Get to know us in a sustainable way! Initiated in 2008 by the eco-conscious network Nature.is, the Iceland Green Map project is the first one to map an entire country! Available both online and as a print map and translated into five languages, the award-winning Iceland Green Map is a rich source of eco-information serving both locals and visitors. Although this story is not yet in the book, we are delighted to share it with you. Download this Iceland Story here. This recyclable and wind-power produced map tells the story of composting in Manhattan, helping residents who always wanted to compost and didn’t know how. 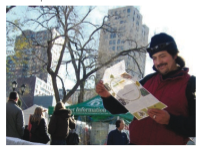 With 30,000 copies distributed, this map has made a change in the way New Yorkers think about composting! Download this NYC Compost Story here. Download this Rokujugata Story here. 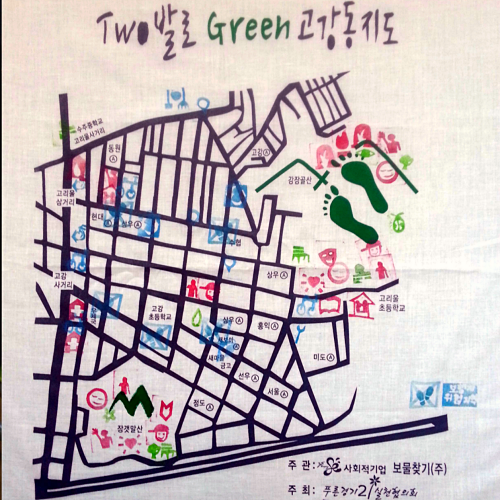 Working in community-based workshops, the Kamakura Green Map team found a new and creative way to map the charm of their historic city. Dividing the city into four different eras and using original and locally designed icons, this map is able to highlight the city’s most special and unknown sites. 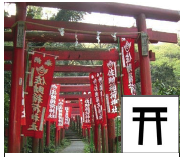 Download this Kamakura Story here. This socially-inclusive project, involving activists, researches, students and community members from various fields of study, has generated a myriad of other maps, tools and even a book, celebrating the native names and heritage in Victoria, Canada. Download this Victoria Story here. 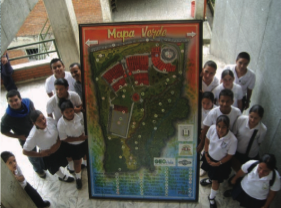 Looking at sustainability from the point of view of concerned youth in Colombia, this project has allowed high school students in Pereira to engage their community in planning a more sustainable future for their town, creating an empowering model for student involvement in sustainable community development. Download this Pereira Story here. 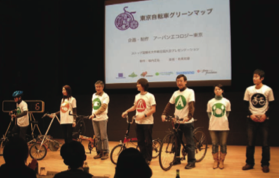 Aiming to raise awareness among Tokyo residents to the environmental toll of excessive weekend driving, this climate-focus project presents an attractive alternative, as it highlights cycling routs, sites, shops and information, making cycling in the city and around it accessible, safe and easy. Download this Tokyo Story here. Using Green Mapping as a powerful educational tool to reduce energy consumption and raise awareness about climate change, this project has effected significant change in Thailand, working with school children throughout the country to identify and assess environmental hazards and resources. 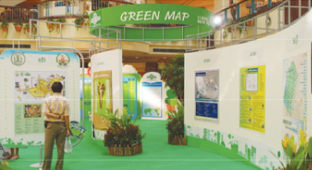 The first company in the world to adopt Green Map System as a tool for improving efficiency and environmental awareness in all its facilities, Delta Electronics Inc. was able to significantly reduce its CO2 emissions and promote employee well-being in an across the board mapping project. Download the Delta Electronics Story here. This innovative mapping project, focused on green economy, set to create a map of the lively Osu shopping district in Aichi, Japan. This fashionable map highlights businesses, which apply green methods of production and packaging, as well as strengthens the use of a green activities reward system. Download the Expo Money and 2R Story here. Green Map Mandala Borobudur aims to explore the relationship between the largest Buddhist temple in the world and its living environment , contributing a record of the area’s natural and cultural diversity. In 2004 SOW (Society of Wilderness, Taiwan) adopted the wetland along the TanShui River and carried out ecology restoration, education, research and investigation. 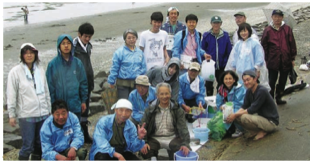 For Earth Day 2007, 10,000 copies of the TanShui River Corridor Green Map were published. Download the Tanshui River Story here. 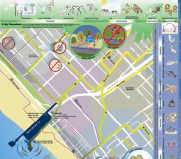 The Santa Monica and Ballona Watershed Green Map was made by a local architect to help residents and visitors visualize the breadth and diversity of the local environment. Download the Santa Monica and Ballona Watershed Story here. 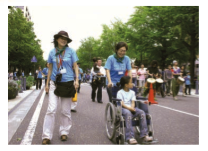 Maioka Kashio Nuring Home implemented a Green Mapmaking proect with the experiences of seniors as its main focus. The map includes information on seasonal nature and social resources as well as nursing homes, hospitals, doctor’s offices, pharmacies and other helpful services. 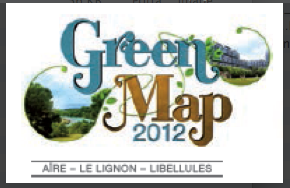 This Green Map shows theme walks specific to one’s interests, like nature, history, welfare, traffic, scenic and lifestyle. This data was gathered by residents, who not only created a tour guide but also discovered problems in the area, which the city was able to solve. This bicycle map features articles about the area’s environment, culture and tourism. Green Map Yokohama and NICE Yokohama also helped initiating the annual Car-Free Day, a world wide celebration on the 22th of September. The “dear green place” in Gaelic, known as Glasgow, the largest city in Scotland, is far from being sustainable. This Green Map features over 100 charity shops, community enterprises and grassroots environmental organizations, who provide reuse opportunities.